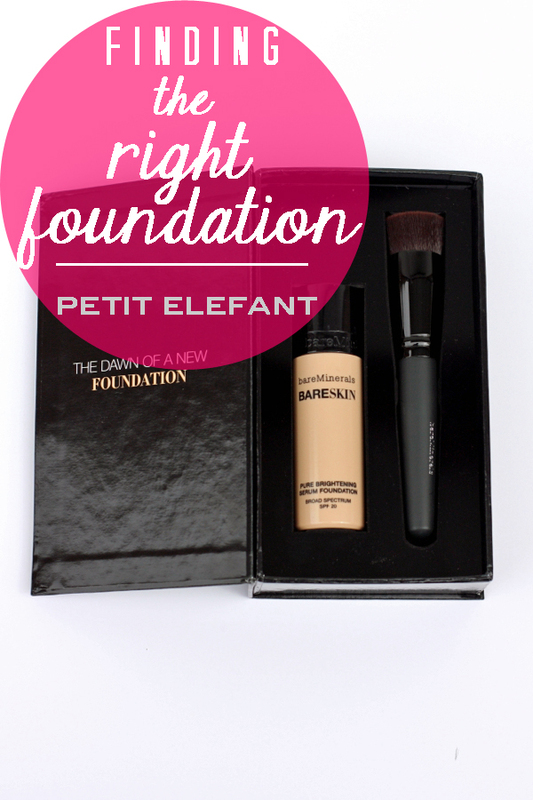 What do you look for in a foundation? Do you look for anything special in a foundation? Do you even wear foundation? A lot of us don’t, and I’m in and out of that camp all the time because I just don’t like the feel of heaviness on my skin. At all. The most I can handle on my face normally is a very lightweight moisturizer and some blush. When it’s a special occasion or I need serious coverage for family photos or a random photo shoot. In my day-to-day life I just don’t like the feel of anything on my skin. Still, my skin is a train wreck, and I feel a little better covering up some of this mid-30’s hormonal skin nonsense. 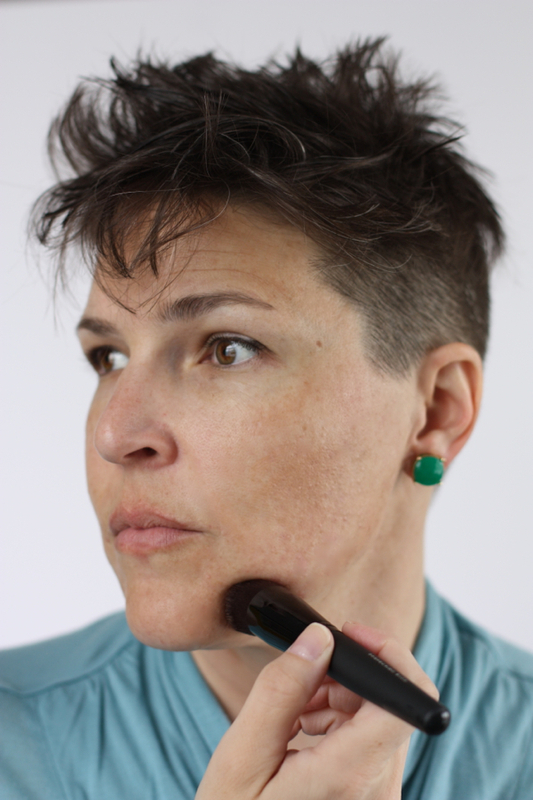 I’ve been on the lookout for just the right thing for awhile, and today I’m partnering with bareMinerals to share a new liquid foundation with you, called bareSkin, and so far I like it a lot. It’s pretty important to shake up any liquid foundation before you start applying it because all the mineral and liquid goodness sinks to the bottom of the jar in-between uses. bareSkin® foundation has been 20 years in the making and the ingredients are pretty nice to have on your face; all non-comedogenic, (which means it won’t clog your pores – that’s pretty mandatory when it comes to your facial skin) hypoallergenic, broad spectrum SPF 20 with JoJoba and coconut. There’s some serious science behind this bareSkin® foundation, 20 years worth actually, so you know the chemistry is awesome. The best part? It feels like absolutely nothing on my face. Any foundation I put on my skin has to feel like it isn’t there. My skin is oily and my makeup slides off my face, so I don’t want a mudslide halfway through the day. I need sunscreen. I wish I’d told my 17-year-old self how invaluable it is, but she wouldn’t have listened anyway. Now that my skin is old enough to show wear-and-tear, sunscreen isn’t optional. I really enjoy foundation that blends well. We all should be blending our foundation with a brush anyway, did you know that? So liquid foundation makes extra sense, especially when it’s lightweight and really blendable (totally a word). I buy makeup that’s expensive enough to be good makeup, but I don’t want to spend hundreds of dollars. It just isn’t worth it to me. 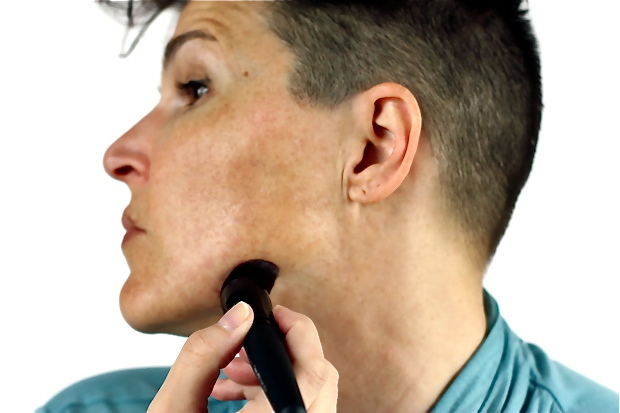 bareSkin has a really, really reasonable price-point at less than $30. Ridiculous awesome. I want to know what you look for in a foundation. What are your must-haves and your stay-away-froms? Leave a comment so I know what the rest of you are doing, I really want to know! P.S. After May 1, 2014 you can buy bareSkin foundation at bareMinerals.com, bareMinerals boutiques, QVC, Sephora, ULTA, Macy’s, + Dillard’s. Full coverage foundation and I do not mix. My go-to is MAC Face and Body. Buildable if and when I want it to. I bought bareMinerals foundation powders, thought I didn’t like them, kept them, and then suddenly loved them! Maybe my skin changed again. I’m like you–I want lightweight and have some oil and acne. I also love Mary Kay’s highlighting pen for under eye circles, which get more pronounced during allergy season. I want something that I can put on in the morning and forget about the rest of the day. This products sounds interesting. Do you recommend it to extremely busy girls who don’t have much time to retouch?